To eliminate road congestion and restore the primacy of an efficient, dynamic, and progressive transportation network as a core component of urban life. The major cities of the United States and most of the developed world will die by 2050 from “clogged arteries”-commercial and passenger vehicle gridlock-unless steps are taken now to eliminate congestion and redirect public and private capital onto a path of enabling long run improved urban mobility. Goods and people are already seriously compromised. Every ordinary citizen sees it. An inevitable civic fatality is apparent. This threat to city life is bound to the substantial depreciation of its commercial and personal property values due to their early-on inaccessibility. Without adequate transportation access, commercial and residential property loses its economic value. As entire swaths of cities become inaccessible due to gridlock, property markets will implode. Prosthesis – prefabricated, ready to install fly-overs and queue jumpers of existing and prospective time delaying intersectors. Major new arteries – many underground tunnels, elevated parkways, and new functional classes of roads with convenient parking terminals embedded within the network our metropolitan and suburban areas. Many of the new arteries will employ electronic tolling, some with variable rates vis-a-vis loading, to finance new investment and manage the flow of traffic. Private capital will be instrumental to the redesign and implementation of a congestion-free transportation network. An enlightened private sector-institutions and individuals-will take timely ownership of the problem and its prospects in its self interest to honorably protect the useful value of its property and deservedly profit from an affordable, uncongested, toll service. New business will appealingly open the entire city and region to timely, cost effective deliveries, unstressful job accessibility and unrestricted family activities from shopping, to school, to soccer, to social ties.With the right political and institutional reforms, a substantial new industry will be founded. Little or no public funds will be required in countries like the U.S., Australia, New Zealand, U.K. and others. International competition has already emerged investing in this emerging business sector, creating many new jobs as this new strategy generates new wealth country wide. Any city that ignores the threat will become an economic and personal-existence wasteland by mid-century. Any previously developed country that thinks it will be immune from this threat will blight itself and do a disservice to other countries it should support and serve. We must want most cities and all countries to responsibly succeed. Improving accidents and road incident clearings. Building and financing new conventional roads, financed through tolls and private capital, to meet increasing travel demand in cities and regions. Avoiding the economic “death” of cities by 2050 will require putting these primary changes in process now and implemented by mid-century. U.S. cities can not afford to wait. 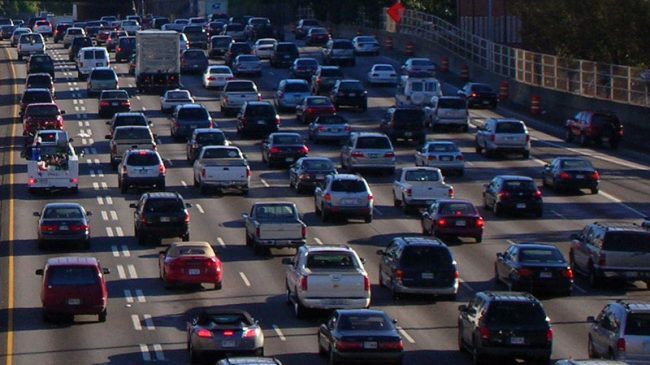 Congestion must be eliminated to ensure the economic competitiveness and viability of our cities. More importantly, transportation policy must be redirected and refocused on the goal of sustainably improving mobility over the long run. Indeed, the aggregate of the depreciated value of all its properties will be multi-times the congestion-elimination investment. While ambitious, numerous industries have achieve similar and lesser hurdles by harnessing the capital and creative energy of the private sector, including Air Travel, Cell Phones, Computers, Medical Solutions, etc. Congestion free ground travel may best them all!